2016 Urals prepped for shipment. Testing on a newly built Gloss Grey Patrol. 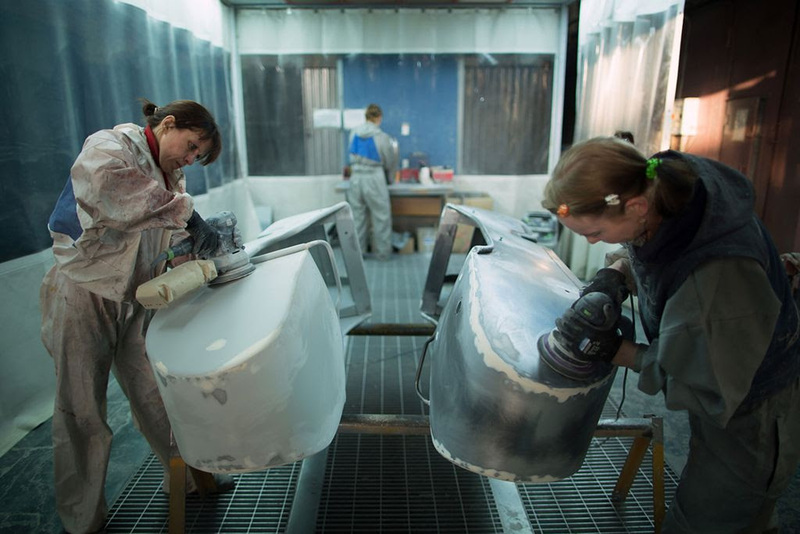 Sidecar finishing and painting preparation. Final paint and assembly inspections on a custom Gear Up. Gear Up sidecar at assembly station. A newly completed cT rolling off the factory floor for testing. 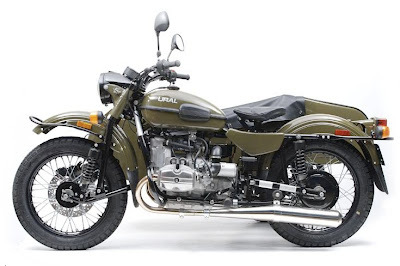 2016 Ural Line-Up Comparo - USD pricing. Handy comparison chart if you're contemplating a Russian sidecar rig for Christmas. Pricing is in USD unfortunately but it still puts all the features side-by-side. Ural has a history of special editions. Looks like they're piggybacking on the popularity of the upcoming Star Wars movie with their latest iteration. The Ural Dark Force - they're making just 25 Ural Dark Force special editions for the US. Probably none making their way to Canada but we haven't heard from Ural on this. From a factory far, far away; nestled in the Ural Mountains, comes the Dark Force. 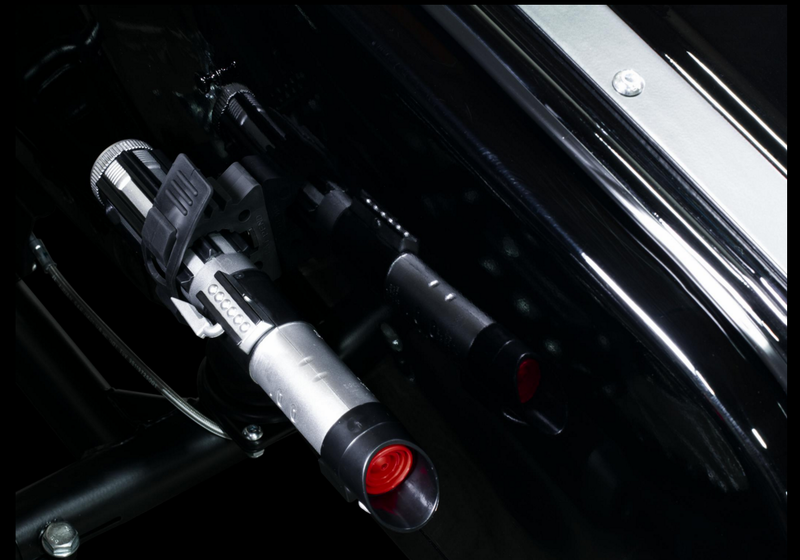 Standard equipped with Lightsaber®, LED lighting, and fully blacked out to hide you in the shadows. Inspired by the world of Star Wars®, we created a motorcycle that lets your inner child explore the dark side with little damage to the real world balance of power. Come to the dark side...we've got sidecars! With a sidecar and trunk you'll have enough room for all your favourite gear (or droids) during your next ride. The Dark Force has a 2.9 cu ft. trunk, providing a secure and water tight space for your extra gear. 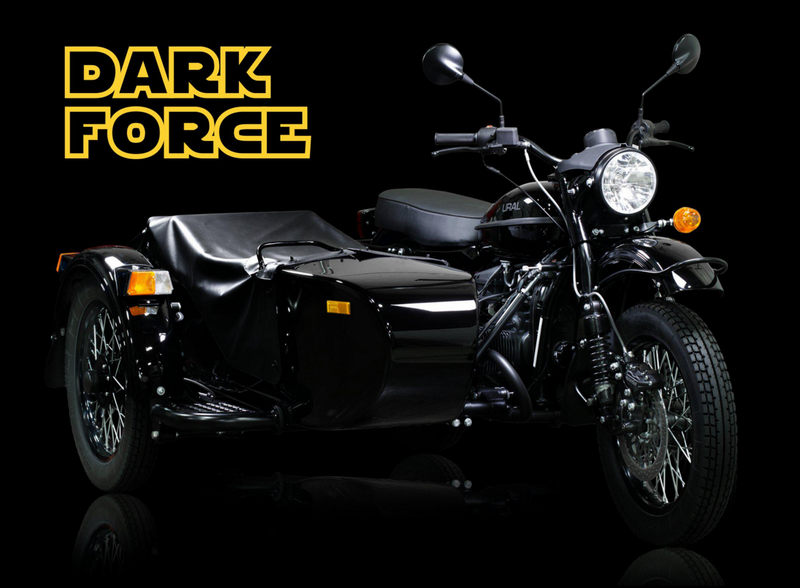 Each Dark Force comes standard with one (1) extendable 3' Lightsaber® mounted to the sidecar. Easily accessible and totally secure, ready to battle the unknown. 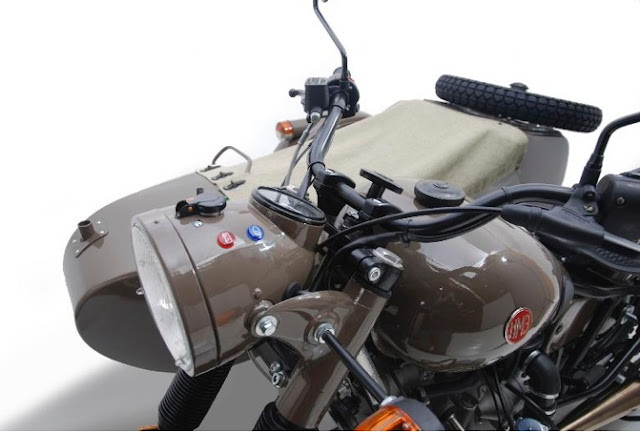 Lot's of cool addtions are available with the new Ural Sportsman Package. Looks like a great version for the outdoorsman. No word if this particular model is available in Canada but let's hope. Prices are in USD. "We took our Gear Up and prepped it for camp, introducing the Sportsman Package, Camp Wandawega Edition." The Sportman Package includes full ceramic undercoating under the sidecar and all 3 fenders. With ceramic undercoating you're protected from snow, salt, grime and anything else nature might throw your way. *MSRP does not include shipping & installation, dealer prices may vary. 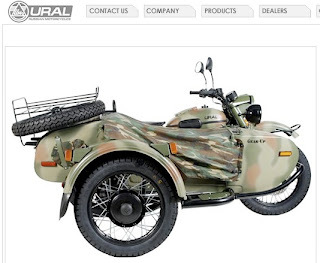 Ural is nearing a milestone mark in sales in the US and they've got a little treat for the person who purchases that unit. We are currently at 4,968 new Urals registered in the US since IMWA launched in 2003. Coming up on our 5,000th new Ural owner sometime next month. Statistically inclined internal brains are estimating we'll receive the milestone registration around September 7th... Well, whenever it arrives, we decided to celebrate this very special customer with an eclectic collection of gifts. That lucky person can be you! Ural US retail sales results for Q1 are in and they're up 11% up from last year for the same period. No specific numbers were reported for Canada except to say that sales in Canada "are on fire." Bullseye, Target's English Bull Terrier mascot sets off on journey across Canada in a motorcycle sidecar meeting friends along the way. Target, the big box retailer of all things home, clothing and in some cases grocery, for the first time ever has opened stores in Canada. To promote this fact, they launched a tv campaign Sunday night during the Oscars broadcast and what was their domestic vehicle of choice? You got it… Ural. Plenty of scenes from across Canada make it into the ad. You might want to turn down the sound on this one though! Ural sales are up - again! Ural had some great news on 2012 US retail sales results - Ural grew 33% over 2011, which makes it the third year in a row of 30%+ growth. That's a pretty unique case in the motorcycle industry these days. 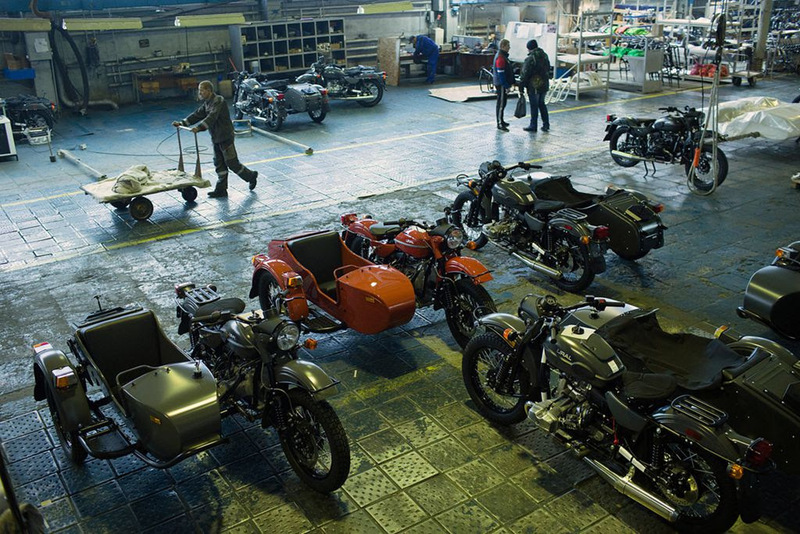 2012 was a record sales year for Ural. 2012 bested their previous record set in 2006. Sales are up in Canada as well, though specific numbers were not provided. In other Ural news US Retail sales are solid 28% up from last year, new enthusiastic and professional dealers got on board, the factory has been continuously increasing efficiency, and worldwide sales are up. 2013 units just started hitting dealers this month. Ural focused on improving the bikes for 2013 with no major updates. 2013 pricing is now up on website in Models section. There are a few increases, particularly on T models, so for some it might be a good idea to call your dealer to see if you can still grab any of the 2012 remainders at 2012 prices. The extended warranty and special financing are still on through Jan 2nd. The folks at Ural would like to wish you "Happy Haulidays." Hey - if you had a Ural you might actually be out riding today despite the ice and snow that will be appearing now that it's officially winter in Canada! 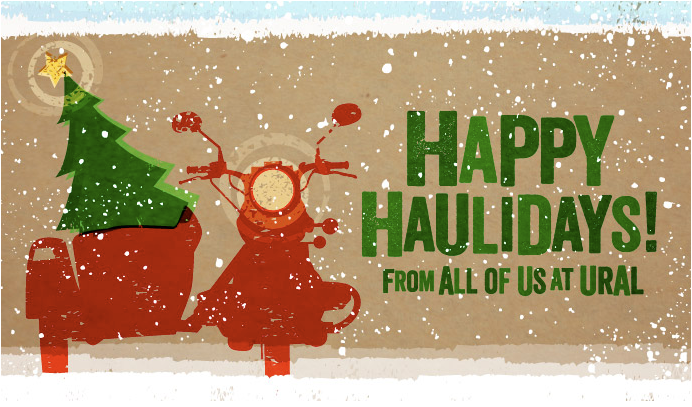 Warmest wishes and a sidecar full of gifts to everyone this holiday season! May all of your families and friends (and pets!) have lots of fun to share and special memories to keep. We wish you more smiles, good times and easy riding! Ural experienced some record summer retail sales this year. For the period of January to August, they were up 27% from 2011 and-despite their expectation that things would slow down-from January to September they're showing a gain of 25% over 2011. Chuck (Schram) our dealer recruitment man is bringing more players into the game. Jon (Bekefy) has been putting together some incredible marketing exposure for us. Our parts guys are working non-stop. Factory is getting ready to increase production for next year to meet the growing demand in all of our international markets. We even nailed an awesome partnership with retail financing company FreedomRoad Financial. Read more on that below with pretty cool special that's running this month! 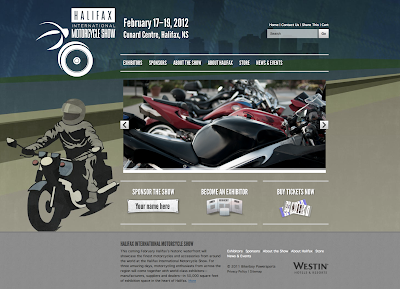 Our 2012/2013 Dealer Meeting takes place in just a few weeks, and we're all busy here preparing Powerpoint presentations and information on what Ural is doing, and what we hope to accomplish in 2013. 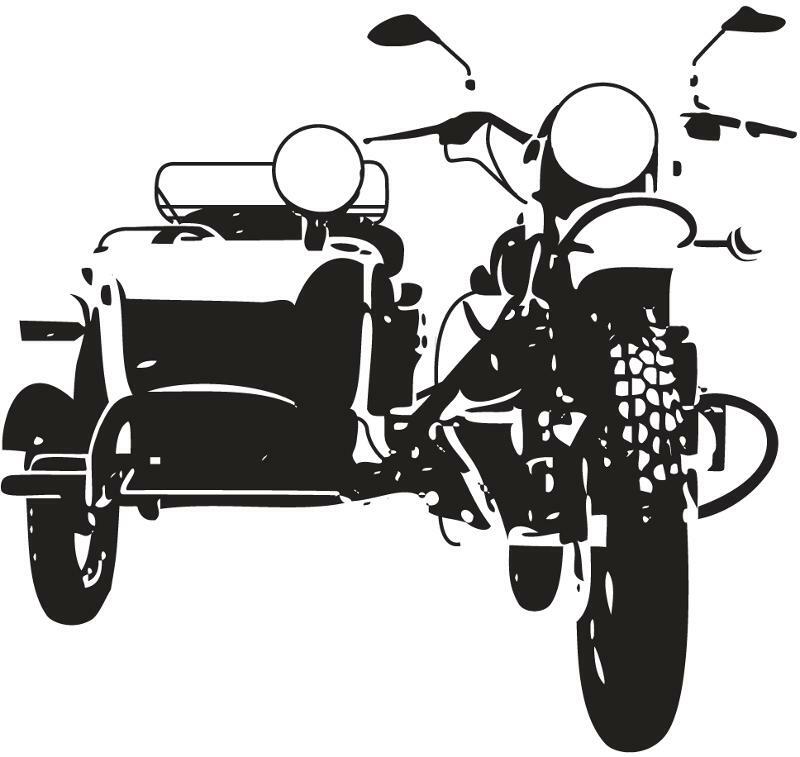 New Ural t-shirts will soon be available. This was the design we chose for the Rally and we decided to make enough so that we could offer them for retail this fall. We'll send a note once they're available, but when they are you'll be able to order the shirt from your local dealer. The artwork pictured here will be on the front of a grey t-shirt with the round Ural logo on the left sleeve. A little news from the people at Ural. Ural sales in the US are keeping consistent 25% increase for the first 1/2 of the year over same period last year. Sales are strong in all of their markets around the world as well. Europe, Australia, Canada, Japan and Russia are all up from last year. The growing demand naturally puts pressure on the factory to increase production. Ural have been working very hard on the PR front and pretty much rebuilt their website from ground up. You've probably already checked it out by now, but just in case you haven't be sure to visit the new site and take a look around especially the blog and media sections, as Jon routinely updates those with new material. We came across a website of some hardy Ural adventurers who travelled from Irbit (the birthplace of Ural Motorcycles) to the North Siberian town of Salekhar. Looks like it's an annual event - weather permitting. 2,500km across the frozen Siberian wilderness on old school Ural motorbikes to the only town in the world sitting on the Arctic Circle. The Pioneers Run was a propper adventure like no other which saw 11 brave, foolhardy teams complete the mammoth undertaking. The Ice Run will begin in the birth place of the Ural - Irbit and end in the North Siberian town of Salekhard, the only town in the world built on the Arctic Circle. How you get between these two points is up to you. In summer the only way to get to the northern end of the River Ob is on a boat or an aeroplane. But luckily for 6 months of the year Siberia is colder than a snowman's gonads and squashed under several metres of ice and snow. Then the only way to cross this icy wilderness is by a network of ice roads. These little transportation wonders are paths of occasionaly flattened snow that snake over and alongside the frozen rivers. If there is particularly heavy snow, the ice roads can become impassable. They also move each year, depending on the climate, and at a certain point they melt and you fall in the river. All this means navigating your way to the finish line will be some of the most excellent fun in the world. Ural spent the first few months of 2012 redesigning their site to be easier to use, to look better, and deliver the best Ural content-from photos and specs to FAQ and photos-and they hope you like it! 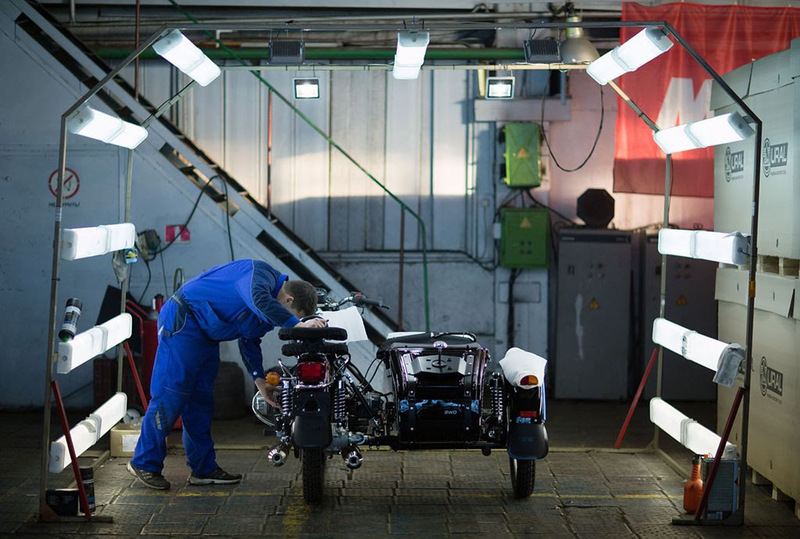 Ural is celebrating a milestone anniversary of the Irbit Motorcycle Factory by introducing two special edition models: the M70 sidecar and M70 solo. No word on if any of the only 30 M-70's or 10 M-70 Solo's produced will make their way to Canada. Not likely I'd guess. Too bad if so. Ural came up with the idea for these motorcycles two years ago, but saved it for the anniversary year. They studied archive photos, carefully chose the paint, searched for the right material for tonneau cover, and recreated the first IMZ badge. Grant Ray from HellForLeatherMagazine.com came out to Seattle and took the M70 sidecar and solo for a test ride...of course to try it out in the snow! The result? Ural is Ural. Proven once again. It wants to take the path less traveled even in 1WD, low clearance, 18" tires, most street friendly Retro model configuration. Read full article on HellForLeatherMagazine (it's a paid subscription publication, but the guys at HFL graciously agreed to reopen it for a few hours). Fall and winter seasons are the best for Ural. And not only for riding in the mud and snow, but also for finding great deals on 2011's. Read on for details. What's new for 2012? The answer in short is: bikes will have some changes, small but the ones that make life easier for maintenance and just in general. It's been a huge year recruiting new dealers and the biggest Ural Dealer Meeting in Ural history that took place in Redmond last month. Check out the US and Canada dealer map. 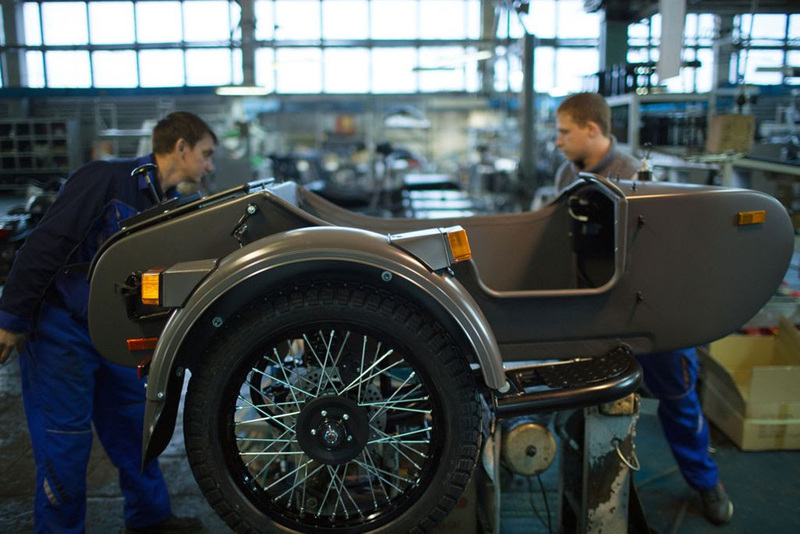 Ural sales are way up this year - up 42% for the first half of the year! Turns out retro sidecar motorcycles are a hit around the world. What's not to like really? Sales have been pretty good over at Ural. The latest news from them to hit our inbox said that sales have been pretty brisk; this past October in particular. It was their biggest October retail sales since 2006! Overall they've they've experienced a 30+ % boost in sales this year. In global terms the 2WD models continue to be a major portion of sales but the T-series bikes (Ural T and Patrol T) are becoming the second largest segment. Canadians still seem to like the 2WD models best. An interesting bit of Ural demographics is that they've seen a two-fold increase in the number of younger customers this year. With every sixth customer now being 35 or younger, Ural is proving that quite a few new generation riders these days are choosing simplicity, functionality and fun over ever-growing hp's and cc's. They also successfully completed the required emission re-testing for EPA certification. Interested in more Ural news? Check out all out Ural news HERE. 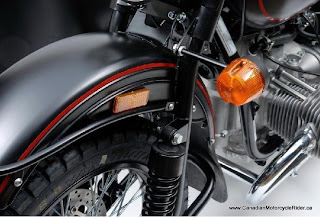 New Ural colors on the way! 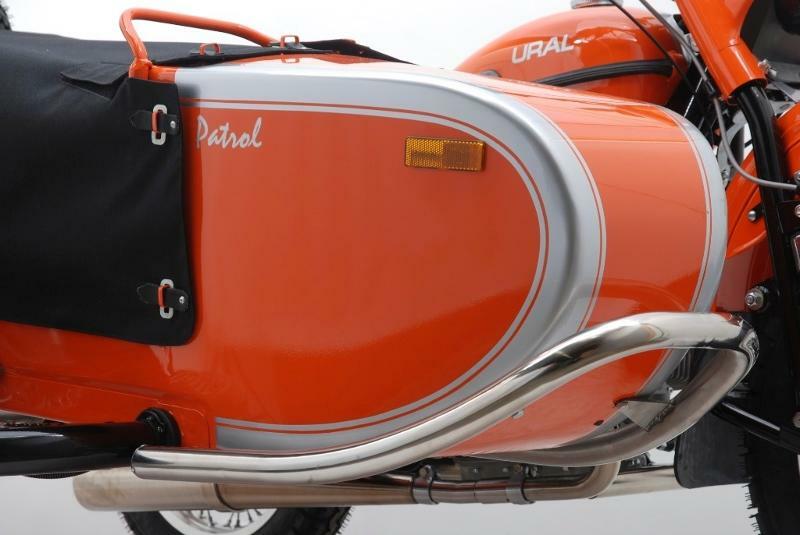 We heard from the Canadian distributor for Ural and they tell us that there's some new Ural colors on the way! We'll likely start getting the new colors until late spring of 2011. Don't worry - you can still get your Olive drab but if you want something a little brighter for your Ural you're going to want to check this out. Bright blue/white and what looks to be Orange/silver. Update: (Nov 9/10) Not only are the colors new but there's something else a little different on these new Ural's. A stepped bench seat. 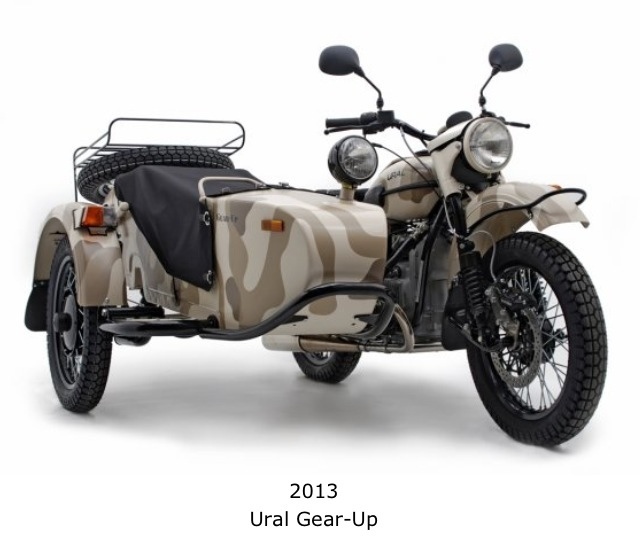 It's listed on the accessories page of Ural's website but not as a new item. Haven't seen that before. Maybe I missed it though. 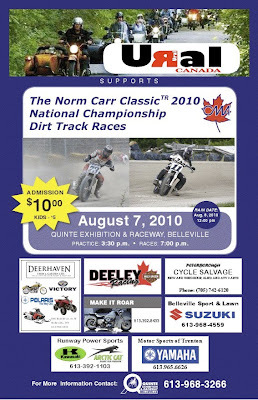 Ural Canada president Gerry Young announced today that Ural Canada will be the presenting sponsor of The Norm Carr Classic National Championship dirt track race. Ural Canada takes presenting sponsor status with the Belleville Agricultural Society and the Quinte Exhibition Raceway acting as promoting partners. The race is sanctioned by the Canadian Motorcycle Association and is the 14th race of the 19 scheduled on the 2010 CMA schedule. This annual half-mile motorcycle dirt track race is scheduled for Saturday evening August 7th under the lights at the Belleville Fairgrounds, virtually downtown Belleville. (City Hall is just 2km away) It is a motorsport event that is a must-see for the local residents as well as drawing flat track fans from far and wide. The race is named after a promising dirt track talent from Hamilton Ontario, Norm Carr, who was tragically killed in a van/truck collision while on his way to the Indy Mile in 1975. 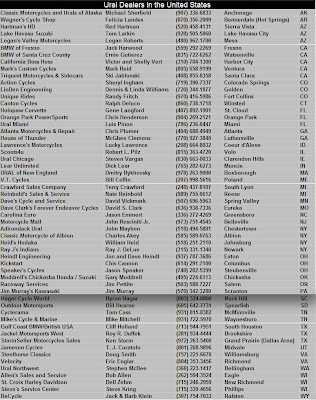 The events most notable notoriety comes from the fact that the first winner of what was then The Norm Carr Memorial race was Scott Parker. Then just 15 years of age and thus restricted from racing in the AMA, Scotty notched the first pro win of what would be a long career on the Belleville half-mile. He would go on to be The Greatest of all Time in AMA Pro Flat Track racing. In announcing his company’s involvement in supporting The Norm Carr Classic, Ural Canada’s Gerry Young also passed comment, “Some people might find it strange that Ural would help with a dirt track race but as we see it dirt track racing is the heart and soul of motorcycle racing. Everyone loves half-mile racing. We know full well what a mix of people come out to this race. The parking lot has from Harleys and Gold Wings right down to scooters, and a lot of mini vans. There’s a lot of families come out, lots of kids. Practice for the Norm Carr Classic begins at 3:30 Saturday August 7th with qualifying races scheduled for 7:00pm. "For the Ural riders that make to this event, Ural Canada will give them 2 free oil filters if the send us a picture of themselves with their rigs at the race or if they send in the ticket stub to us." The latest news from Irbit is that Ural sales are up - way up - from the same 5 month period over last year. January-May sales are up 41% from the same period last year. With the overall industry growth being at a modest 1.4% rate. 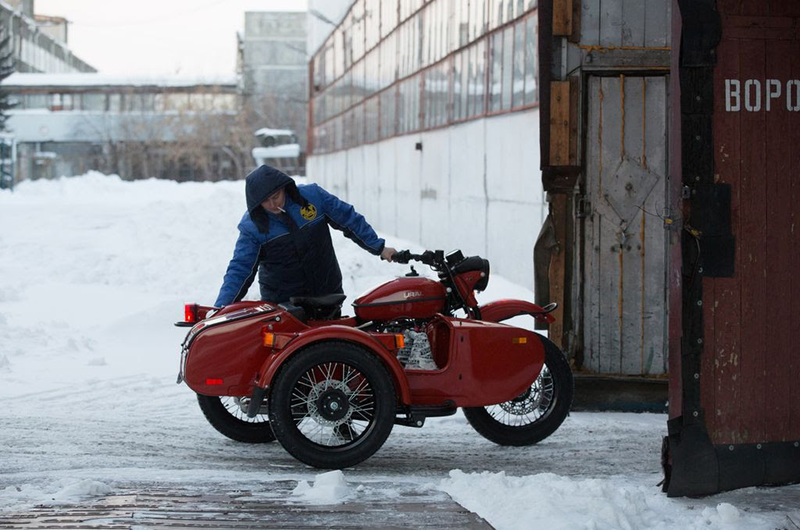 Pretty good news for fans of the Russian sidecar motorcycle manufacturer! For more Ural news select our Ural news category HERE. Ural bits "made in Nova Scotia"
There's a little bit of fine Nova Scotia craftsmanship being put on Ural motorcycles around Europe and the US. The local Ural dealership here in Nova Scotia (Kottwitz Werke Inc. www.Ural.ca) not only sells Ural motorcycles but also houses a CNC machining shop. 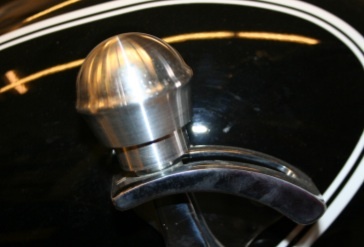 Kottwitz Werke have been machining Retro reverse shifter knobs for the United States and Europe and spot light knobs which are usually for Ural Gear-Up unless a spot light is mounted as an accessory on one of the other sidecars. The original Retro knob is made half of wood which looks very good already but could crack over time being exposed to the weather. The Kottwitz produced unit is solid aluminum and very close to the original shape - just a little bigger to to give a better grip and hand feel. 1.1. Rocker arms with needle bearings. The new rocker arms use needle bearings - the design similar to most modern bikes. This reduces friction between rocker arm and rocker arm shaft improving valve train efficiency and longevity. This also increases horsepower and fuel economy. 1.2. Centering bushing between cylinder and cylinder head. 2010 heads utilize an improved alignment bushing to help center the cylinder and the head. This will increase longevity of the push rods. 1.3. Camshaft with rear needle bearing.The standard rear brass bushing has been replaced with a new needle bearing. Reduced friction increases horsepower and fuel economy while providing better performance at higher RPM. 1.4. Machined (smoothed) intake and exhaust ports of the cylinder head. By flowing the intake and exhaust ports the heads can more efficiently move fuel at higher RPM's and increased horsepower. 1.5. Redesigned alternator adapter. The new design of the alternator adaptor provides better oiling to the seal preventing premature failure while also preventing bearings from overheating and failing. New polymer material instead of rubber for flexible U-joint. 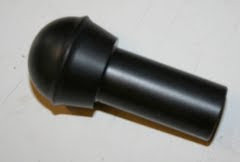 The strength and durability of the coupler is increased due to using new polymers in place of the original rubber. The new coupler is 40% stronger and can sustain heavy loads with minimum distortion. Flexible front prop (same as rear prop) - offers more options for sidecar alignment. 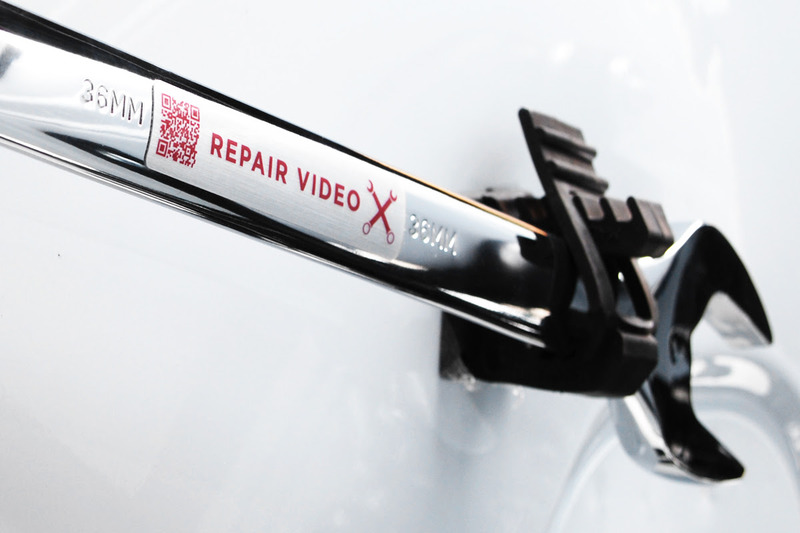 You now have the ability to adjust the sidecar alignment at both mounting points on the frame. This allows you to set sidecar angle, ride height, and toe-in adjustments more easily. Complete exhaust system, handlebar, rear and front fender clips, passenger grab handles, sidecar bumper, turn signal steams, push road covers are now made from 304 grade stainless steel.Stainless steel is stronger and more durable than chromed steel and will not rust. Small parts formerly chrome plated are now covered with polished hard chrome or powder painted. Aluminum 19" rims are installing on Patrol and Tourist models starting container 195 (shipped 12/31/2009). Rims made from 7050 aluminum alloy and have reinforced central channel. These rims are manufactured to higher tolerances and utilize a specific design for sidecar applications. 6. Retro Marzocchi Front Forks 42mm telescopic forks and low front fender for Retro. Oversized front forks provide a more stable ride and better control with a sidecar. The 42mm forks have less side deflection and twist than the original 36mm forks and use better oil and dust seals. 7. Powder painted body parts (gas tank, fenders, sidecar body, side panels etc.) for Tourist-T and Gear-Up (main color) models. Apparently, there have been some very recent Internet rumors that Ural would be shutting down as of March 1st. So today (Jan. 20th), the folks at Ural sent out a message that the rumor is untrue. There was also a rumor that the shutdown was because of a multi-million dollar tax debt. Also untrue - Ural does have a tax debt, but it's certainly not a multi-million dollar one! 1. PK IMZ has tax debt. As of November 1, 2009 the amount was 10.5 mln rubles ($350K). This debt accumulated at the end of 2008-beginning of 2009, during the peak of the crisis when the factory stopped building bikes due to the drop in demand. 2. As of today, January 20, 2010 PK IMZ tax debt is 7.9 mln rubles ($280K). IMZ is negotiating with the regional government authorities on obtaining a payment plan for this remaining amount. The reason and purpose for negotiations is to keep the lined up reserve $$ for more useful projects including R&D rather than paying out the tax debt at once. 3. Today, January 20, the newly elected Governor of Sverdlovsk region is paying a visit to the factory and during the meeting with factory management they will be discussing this question. Another issue that will be discussed with the Governor - is providing the factory with a way to import foreign components under temporary importation terms. This would allow the factory not having to pay enormous import duties and taxes for goods that upon assembly of motorcycles immediately get exported. Unfortunately, current customs regulation is not manufacturer friendly (duty runs up to 15-20% on imported components, non-refundable) which forces IMZ management to look at and consider options of moving the assembly outside of Russia. 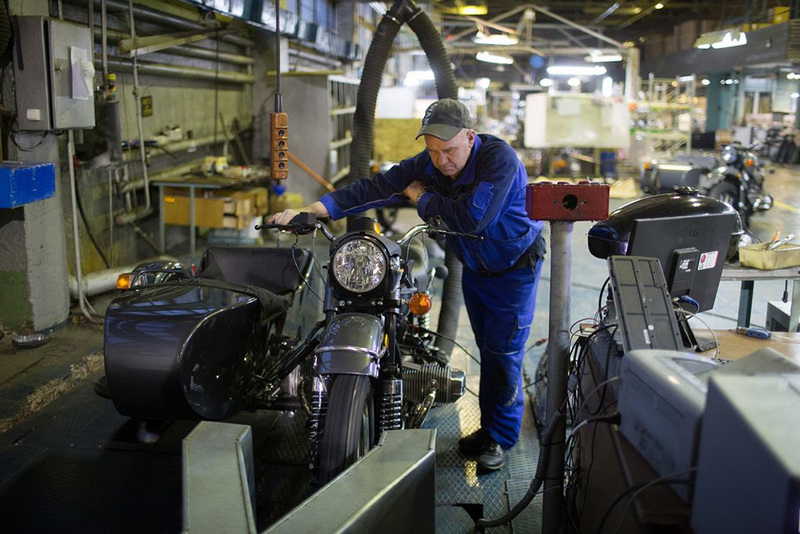 In conclusion - the factory is working and very busy, motorcycles are being built every day to catch up with the demand that's again running ahead of supply. If everything continues as well, this year we plan to get back to the production level of CY 2008. We've just gotten word from our friends at Ural that office relocation of their US headquarters in Redmond, Washington was a success and is now complete. The new offices are said to be newer, smaller, and more efficient - not to mention a big money saver in terms of rent! Care to see more? They've got some YouTube video's of the new space - HERE. In other news, 2010 model year Urals have hit the dealers' floors this month and more are on the way. There are a few changes to the bikes as well as some additions to the model line up. We'll provide an update once we hear in January. We spoke to the Canadian Distributor of Ural's and asked them about the new Ural ST, that's SOLO T. The SOLO T is the company's newest bike and one without a sidecar. 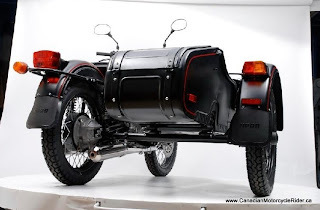 It replaces the Ural Wolf cruiser which was never really a big seller in Canada. So no big surprise then when asked if the Solo T was going to make it to our shores - the answer was "there are no plans to bring in the SOLO T at this time." - The leading-link front forks are gone and replaced with 41mm Marzocchi telescopic forks. - Softer Sachs shocks in the rear. Ural have sent us a little ditty that's been posted to YouTube as a pre-long weekend treat for all the loyal Ural enthusiasts out there. 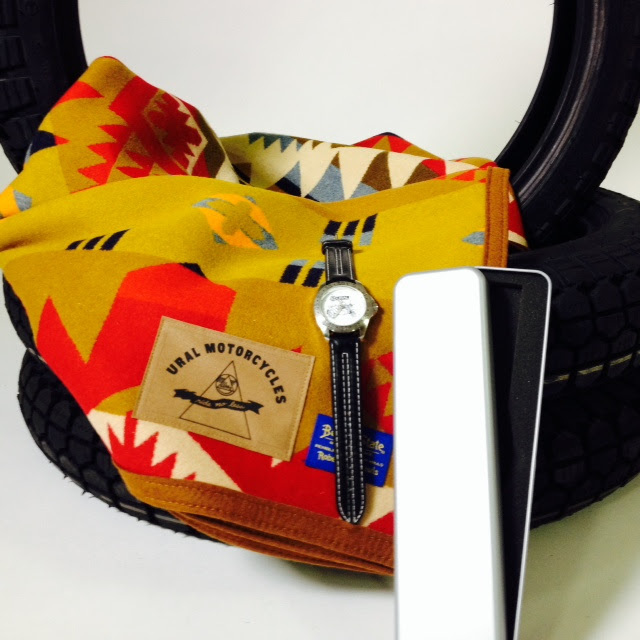 It's inspired by Ural-ling adventures across the beautiful country... the "Come Ural with Me!" tune by Lois Pryce and Austin Vince. Video (and "sing-along") by: Mike and Alanna Clear (Going The Distance). Lois Pryce is also regularly known through her motorcycling exploits as "Lois on the Loose" while Austin was one of the crazy adventurers that made up the Mondo Enduro team. If you're interested in reading more about either of these motorcycle adventurers maybe you'd like to pick up their books? 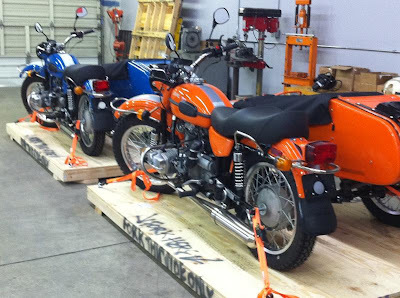 We got word from the Canadian distributor of Ural's that they've got two special new models in their warehouse right now! The olive drab Patrol, which is a full spec Patrol and includes all the goodies, and another very special model - a Patrol with the Ural T colors (matte black with a red pin-stripe). Canadian customers get the full spec Patrol with it's engagable 2wd but with the color of the T-model from the US. The US "T" model is a stripped down model that removes many accessories and isn't a 2wd model. 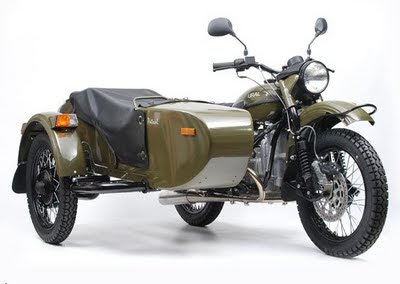 NB - This picture is the US "T" model Ural and not the Canadian version but it'll give you an idea of the color. Looks great! See more Ural news HERE. UPDATE: We received a picture of the "T" colored Patrol model. Feast your eyes! According to latest news brief we've received from Russia, the extremely popular military olive green palette from the 90's Urals is back by popular demand. Seems people can't get enough olive green and Ural has finally given the people what they want; engagable 2wd and military coloring. 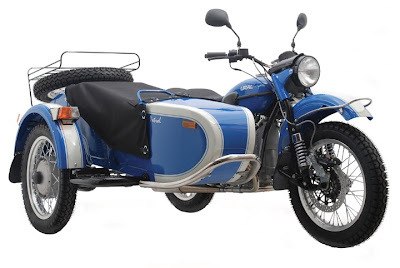 We'll have to talk to the Canadian distributors of Ural to see if we're going to get this version in Canada but in the US it's going to come with a suggested retail price of $12,399 USD. The Patrol T has already arrived at several US dealerships and coming soon to others. This weekend I visited Lutz at Kottwitz Werke - his Ural dealership in Nova Scotia. Lutz is enthusiastic about Ural's and I must say - it's infectious. His prep guy Rob was also very kind about answering all my questions. Rob has a few bikes, one of them being a Ural which he say's "is great for extending the riding season into the winter. You have to up the maintenance but these bikes are very simple so if you're interested in them you'll be able to do some work on it yourself." Both of them agree that the new 2009 limited Edition Sahara is a beauty. I'd have to agree with them. I want one! 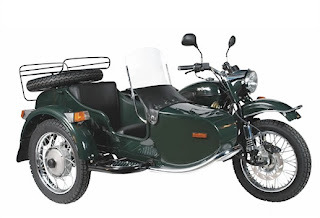 The Sahara is a limited edition Gear-Up so it comes with all the options normally associated with the Gear-Up model such as 2wd of course, sidecar mounted light, sidecar mounted bumper, sidecar step, seat covers, spare tire, sidecar luggage rack, and storage compartment on the tank. When I arrived at Kottwitz Werke they had already freed the Russian machinery from it's heavy duty crate but had yet to assemble it all, check the valves, and perform all the other preparation steps they go through. Looking at the bike is like looking back in time, except everything is brand new! Those Brembo front calipers are a bit of an indication that it's a bike of a modern era. You'd be excused for thinking these bikes are straight from the WWII period though because that's when Ural's were were first sent into battle looking not too much different than these new ones. * Here in this picture you can see the drive shaft coming out of the rear hub. This is what gives you 2wd power. It's engaged via a lever (just above the rear foot peg in this photo) and best left for when the going gets slippery because it's a straight coupling (both powered wheels move at the same speed when 2wd is engaged). Actually, it's rare that you'll see this angle of the Ural Gear-Up because this model is intended to be ridden with the sidecar attached. Leading link forks are very functional on a sidecar outfit but would make steering too sensitive if ridden without the sidecar. The valve cover is also off of the 750 cc boxer style engine. Checking the valves is part of the preparation at Kottwitz Werke, just to make sure no adjustments are required. We won't be getting many Sahara Editions in Canada so if you want one - you'd better act fast! 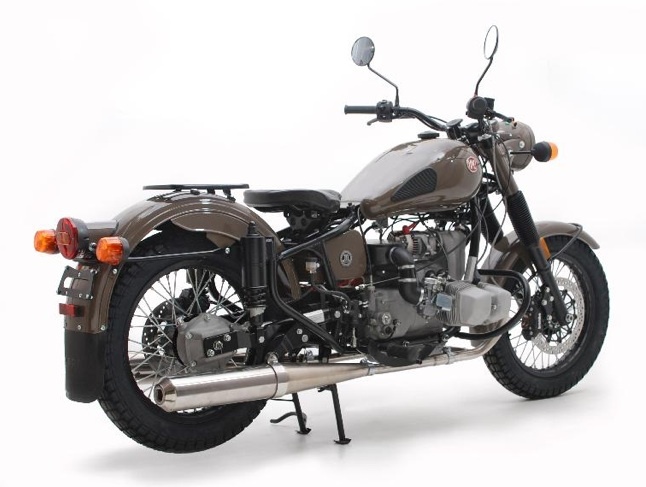 The 2009 models feature many upgrades over Ural's previous models such as the stainless pipes, generous use of bearings instead of bushings, and a removable piece (previously welded) over the battery to facilitate access. We're going to post a more in-depth and picture filled review of some of the interesting Ural facts we learned over the weekend in the very near future. Watch the "Articles" page for updates! Special thanks to Lutz and Rob! 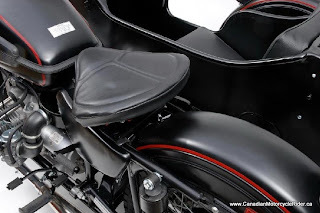 We posted some News direct from Ural in Russia about the coming of the lower price point "T" model Ural motorcycle but we've since been in contact with the sole distributor of Ural's in Canada. The "T" model as they're getting it in the States will not be coming to Canada. We'll get a regular spec 2wd Patrol with the "T" model color scheme. A name for the bike hasn't been firmed up yet. It will be a full-featured Patrol and nothing has been removed to bring the price down. Accordingly, it won't have the entry level price. I'm told that we Canadians seem to like our Ural's with 2wd so the decision was made that we'd go with a different version. It will have the back rack, and the spare tire and the rims will be powder-coated black to match the paint scheme. They've also fitted a color matched fairing too. Canadian price will be $15,145. The Canadian distributor will also bringing some olive green (drab green, the factory calls it) Patrol's too. They'll also be fitted with a color matched fairing. You should be seeing these new Urals in dealerships very soon! News from Russia! We received the latest news from Ural and there's some interesting developments. 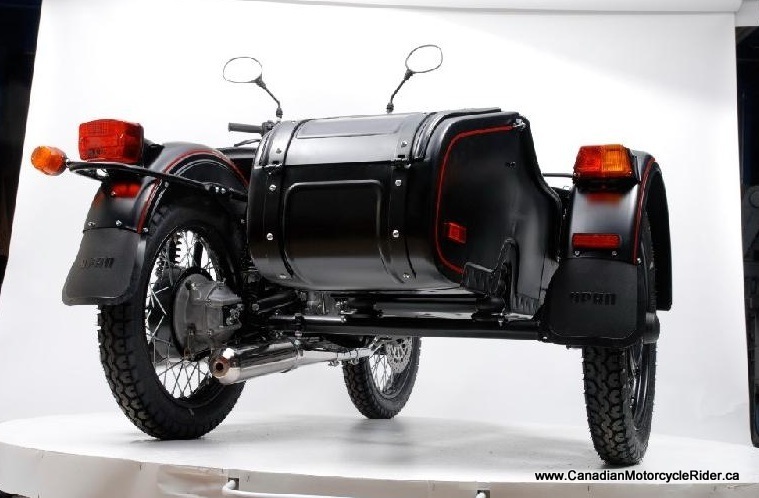 UPDATE - We've heard from the sole Canadian distributor of Ural's and contrary to the newsletter from Russia, Canada is getting a different version of the "T". See all the details here. Ural is going to be offering a lower priced model called the "T" and it's going to be available in June according to the helpful folks at Ural who sent us the information. 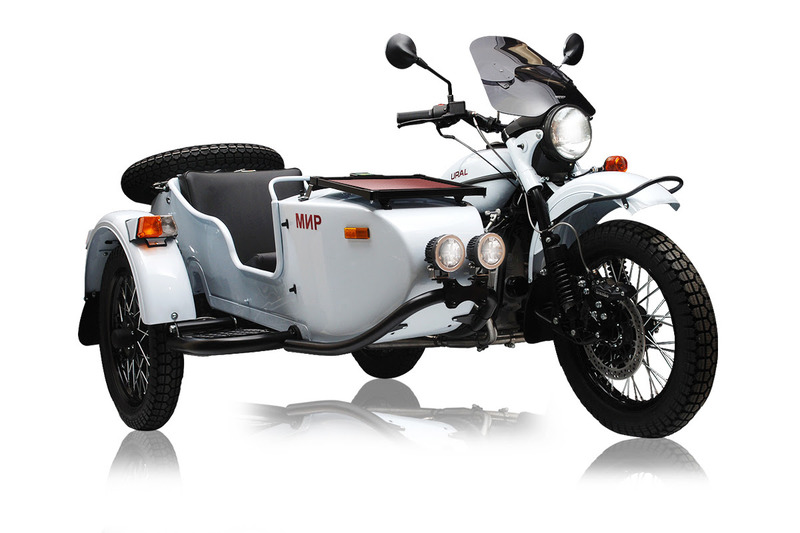 According to Ural this new model will offer an unbeatable price tag. "We tried to distill the essence of Ural to one lean and clean package - a functional, affordable sidecar motorcycle with a touch of style and a promise of great adventure." It'll have a price tag of $9,999 - I'm assuming this in US dollars. We'll have to wait a little longer for specifics on the final price here in Canada. But that gets you the 2 year warranty too. What you don't get is 2-wd, and this model also lacks some of the accessories you'd get with the more expensive models - like a spare wheel, double or bench seat, and rack for the sidecar to name afew. 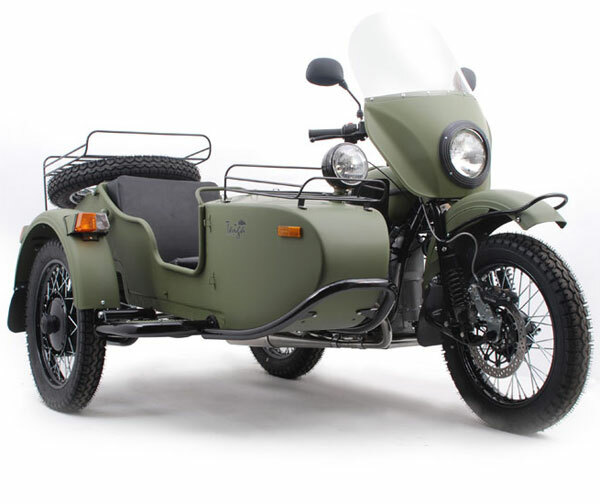 * I should say that 2-wd is not available on all Ural models with sidecars so that's not really what makes this model cheaper than the other non-2-wd models. It's the accessories. Ural have said 2-wd fans will not be forgotten, they've got some upcoming news for them as well. We'd guess it's the news about the Sahara coming to North America that we told you about already. For now though, here's some pictures of the new T-model. Coming in June! * click the images for larger versions. Single - tractor style seat, some flat black paint and nice red stripe for contrast. No 2-wd on this model and the sidecar lacks the top luggage rack and spare wheel. - For more details as they're available keep watching our Ural News category or you can visit the Ural website. 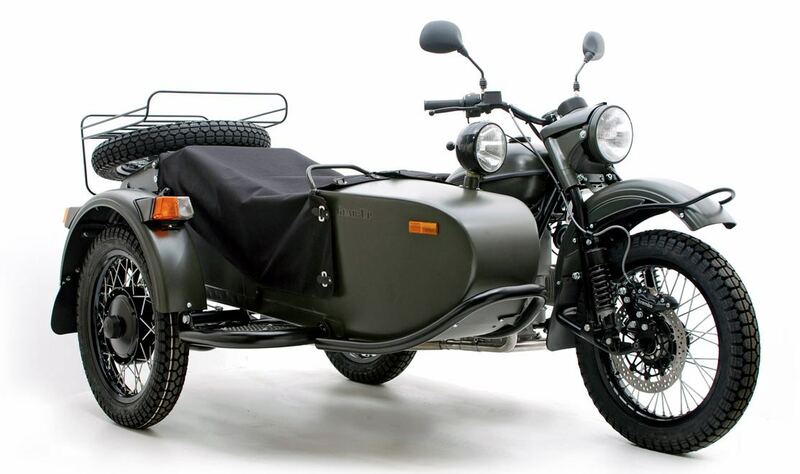 We've heard from a reliable source that there's a shipment of Ural's coming to North America very soon - they'll arrive any day now apparently. Of course, they'll still have to go through customs and make it to the dealerships they're destined for so don't go knocking on your local dealerships door expecting this new shipment 'just' yet. Patience! 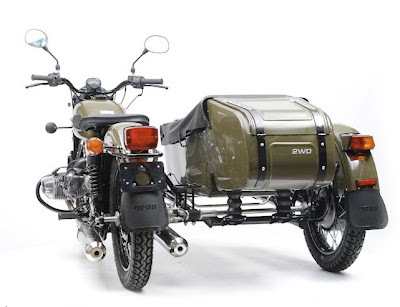 Some related and interesting news about this shipment is that it will contain some Ural Sahara's which are a limited edition 'Gear Up' with a special color and different accessories. The Sahara's were a limited edition bike in Europe last year and they're coming to Canada this year. Here in Canada we had an Arctic Camo special edition color (a blend of white and grays) - that model will be a limited edition in Europe this year. So, we're swapping limited edition models with the European crowd. The arctic camo model will be called the “wjuga,” in Europe which is reportedly a Russian word for “northeast storms in the steppe of south Russia”. Regardless of paint color, Gear Up's fall into the category of what Ural refers to as "Sports Utility Motorcycles." That's because they've got an on-demand sidecar drive - the only sidecar motorcycles in the world with this feature. When the going gets slippery just flip a lever and you're in 2wd. Snow, mud, dirt, rocks, or rough terrain are no match for this rugged motorcycle. The engine is a well balanced 750 cc boxer engine based on a BMW design. It's an old design, but when it's good - you don't mess with it. There won't be many Sahara's available so if you want one. I'd say you should get on the phone, or better yet - pay a visit, to your local Ural dealership and put down a few rubles. 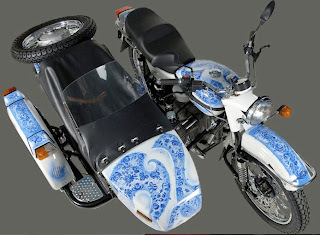 On April 3rd a Ural Tourist, hand painted in the Gzhel style goes on sale on Ebay. Gzhel style is a 14th century pottery painting style - luckily this Tourist is not so fragile though. The paint comes with a clear coat to protect it and keep it looking great. The painting is done by Ural factory painter Svetlana Zyryanova. Ural Gzhel was test ridden by a motorcycle journalist and enthusiast Jack Lewis and will be featured in the next issue of Motorcyclist magazine. The Tourist is equipped with leading link forks, both electric and kick start, electronic ignition, and a roomy trunk. The Canadian MSRP is right around $13,995 which does not include shipping, setup and tax (HST). They come with a warranty of 2 years, and unlimited km. The Tourist does not feature on demand 2wd like the Patrol and Gear-Up models. Ural plans to donate 10% of proceeds from the sale of Ural Gzhel to the Irbit Children School of Arts to support local arts program in Irbit. 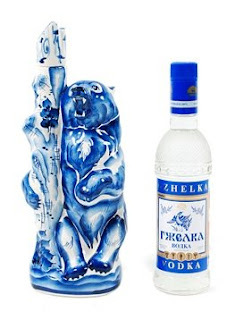 The winning bidder also gets a special souvenir - an exclusive bottle of Gzhel vodka. Jokingly, the folks at Ural even said they'd leave some of the vodka in it! The sale starts April 3rd, 2009 at noon EST. - For full details from Ural on the sale of this one of a kind Tourist check out a section of their site dedicated to it - here. - For more Ural news check out CMR's "Ural" category. Ural has done some major restructuring and in September, 2008 one of those restructuring moves was to relocate the parts warehouse from Washington State, to Michigan. For full details of many of the changes made in 2008 check out our February posting about the Russian motorcycle maker. The move was a big win from a logistical standpoint and brings them closer to the ports where their products arrive from the factory in Russia. 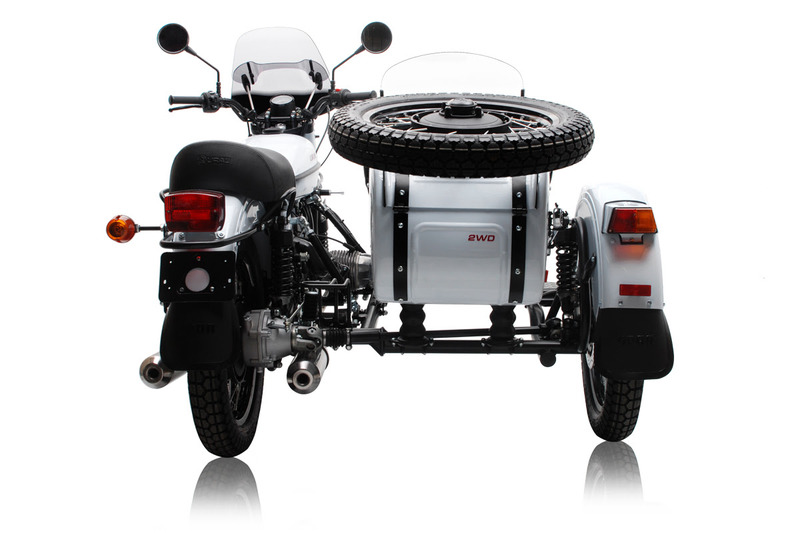 This translates into savings for Ural owners and purchasers. In addition, most of our dealers and service centers are located in the eastern or central states. The money saved on shipping alone was enough to justify the move. How does this benefit you? Lower shipping costs have resulted in many prices being lowered, and the savings have been passed on to you, our customers - Ural owners. The move was an enormous undertaking, requiring thousands of hours to count and pack every nut and bolt in inventory. Huge crates and boxes were stuffed with nearly every motorcycle part imaginable, enough to fill more than two freight trucks. Even though the warehouse was operational January 2nd, 2009 - sorting, organizing and stocking continue even now under the management of Shelley Crawford. Our goal is to improve our parts distribution network; and with new dealers and service centers coming on board every month, we are trying to make it easy to find quality service and the parts you need to keep you on or off the road - wherever your preference would be. 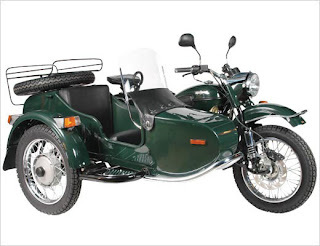 News from Irbit - Ural Sidecars most popular models. We received some news from Irbit, Russia - the home of the Ural factory in the form of the Irbit Informer - a newsletter delivered by Ural. It's been more than a year since the last newsletter was delivered so this one has been a long time coming! No big surprise, it seems like Ural faced some challenges in 2008 - just like everybody else. Ural faced their own unique blend of difficulties though. It's certainly not all bad, they had many successes and sales were pretty good considering the economy and all the changes happening at Ural. - Sold 904 motorcycles worldwide in 2008. 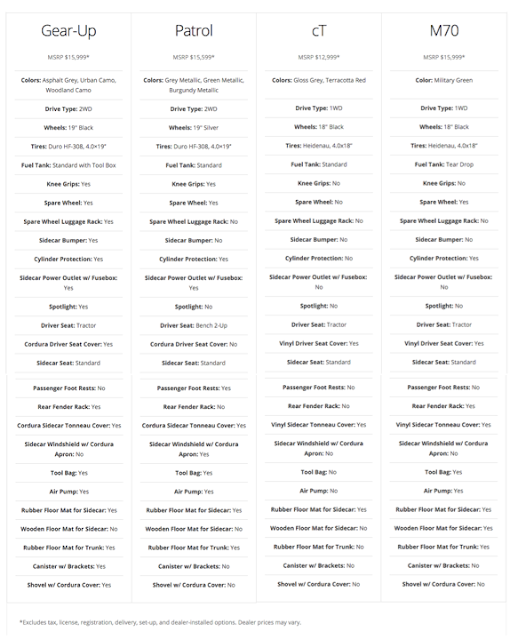 99% of these sales were sidecar bikes. 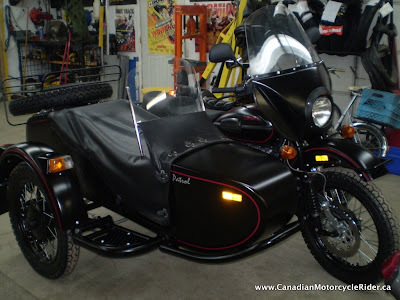 - Canadian Distributor, Ural Canada sold 90 units in Canada which is slightly lower than the 2007 numbers. - In the US, 460 motorcycles were sold to dealers, which is 8% less than in 2007. Over 80% of these bikes were motorcycles with the sidecar drive - the record figure for 2wd unit sales in our history. - Forest green Gear Up was the most popular model in 2008 with over 200 units sold. - Second most popular model was the woodland green Patrol. - increased productivity at the factory by finalizing the number of outsourcing projects, eliminating waste and increasing production efficiency. - Reorganization and, personnel reductions took place to improve the health of the factory. - 210 people working at the factory, almost three times less the number in 2007. - Just 5-7 years ago Ural was almost 100% built at the factory from basic materials. Almost all the components were made in-house, from every engine part to shocks, rims, seats, rubber parts, nuts and bolts. - Today, almost 90% of components and semi-finished products (casting, forgings etc.) are outsourced both domestically and overseas. - 2008 saw a continued focus on improving quality and reliability. The folks at Ural think that the reputation of Ural is now far behind 'actual' quality. - In the last three seasons, the number of warranty claims per bike per year dropped almost 4 times! - The new "production" year begins this week. - The factory was closed during January and part of February. - All operations - from welding to machining to painting and assembly have moved to the main production building with the total area of 220,000 sq. feet. - No significant changes will be introduced in 2009 models. But you can expect several running changes, that will be announced as during the year as they happen. These changes will mostly be the result of outsourcing of several components, changes in production processes or changes of suppliers. - Goal for 2009 is to manufacture and sell about the same number of motorcycles as 2008. One of the top priorities for 2009 is to resolve remaining issues with parts and accessories supply. Some important steps in this direction have already been taken and more information will be available in the next Irbit Informer Newsletter. 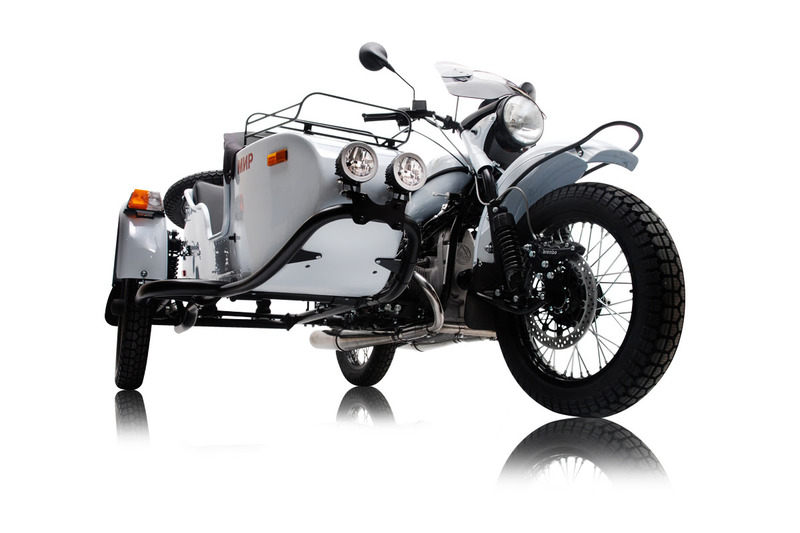 For more information on Ural | Russian Motorcycles check out their website here.